In a free market, prices and quantity of goods are optimally determined by the price adjustment process and demand and supply of respective goods, for example an iPhone or even a plate of chicken rice. 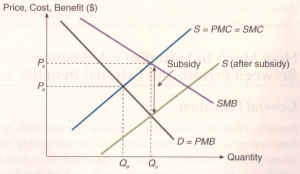 However, as the name of this topic suggests, there are instances when prices and quantity of goods are not determined optimally and the price mechanism used in the free markets fail, causing market failure. 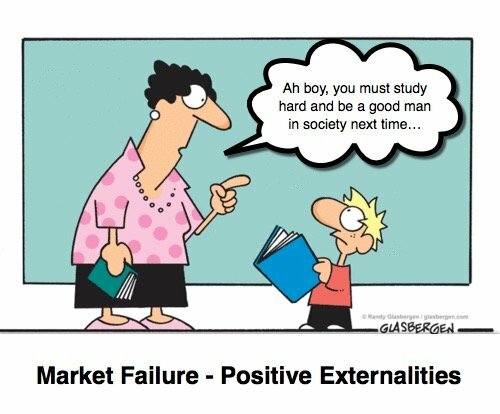 In this topical summary, we will uncover one aspect of market failure, which are positive externalities, in particularly positive externalities of consumption. We will use education in Singapore as an example and learn what is the implication of positive externality and how to rectify this form of market failure. Future wage prospect – degree holders tend to earn higher wages. Education reduces poverty in Singapore, promotes gender equality, lower child mortality rate etc. 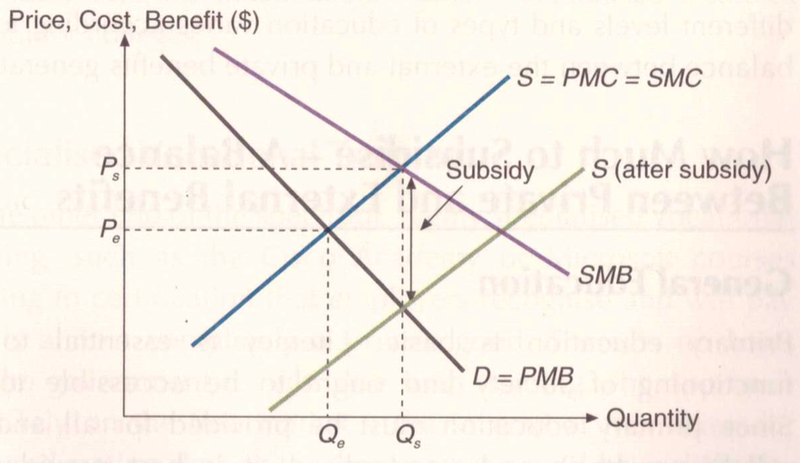 In Economics, we call this positive externality of consumption – goods like Education will be regularly under consumed at Qe instead of socially optimum quantity Qs because consumers of education like Susan do not take into account of the substantial external benefits when they make decision to invest in tertiary education. So what is Singapore Government doing to encourage more consumption? In 2013, Singapore spent 3% equivalent of its GDP on Education. A portion of these spendings can be used as subsidies to education providers i.e the Government generally subsidises 75% or more of the cost of education for general courses such as Engineering, Humanities and Social Sciences provided by the autonomous universities, or about $76,000 to $105,600 for a four-year course per student. Students are expected to bear their fair share of the cost of education as they are the prime beneficiaries who would benefit from higher starting pay and successful careers after graduation. Singapore Government is happy because positive externality is rectified! In my classes, I will be regularly using specific Singapore examples like this to illustrate economics principles. If you want to learn more about how you can apply economics principles to your daily lives, join me and Ace Your Econs together!